It's super cool! 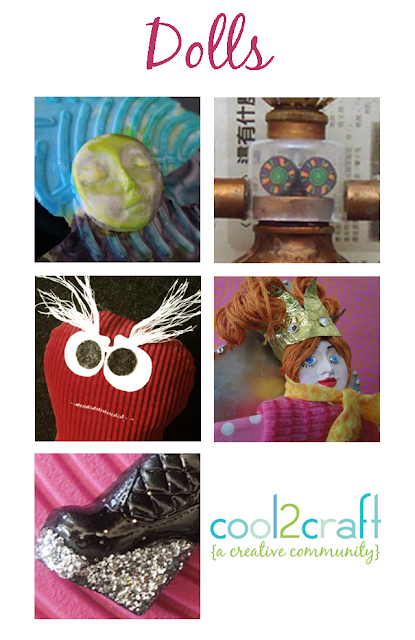 Cool2Craft TV March 26, 2012: Dolls! Dolls! Dolls! - We're celebrating creativity with doll themed ideas this week! EcoHeidi Borchers is sharing her eco-creativity by transforming a tube of Aleene's glue and a cardboard box into a Glue Tube Art Doll on a Textured Glue Throne featuring Aleene's Platinum Bond Super Fabric Textile Adhesive, Savannah Starr is glittering up doll shoes with Aleene's Tacky Glue Pen, Tiffany Windsor crafts a free-pour art doll, Candace Jedrowicz add cool texture to an eco robot and Heather Valentine stitches up a super cute doll that you and the kids will love. It’s easy to watch the Cool2Craft TV Channel right from your computer. Airing Monday March 26, 2012 9am Pacific/10am Mountain/ 11 am Central/ Noon Eastern. Go to http://cool2craft.com and you'll see the Livestream player and chat box. See you Monday!